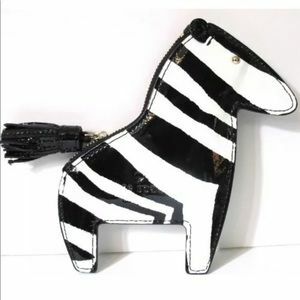 Size: Approximately 6" x 3.5"
Size: 8 x 4.5 x 0.5 in. 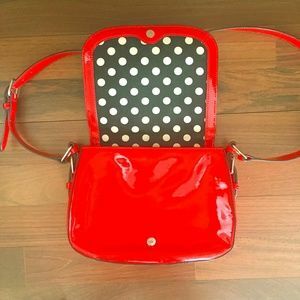 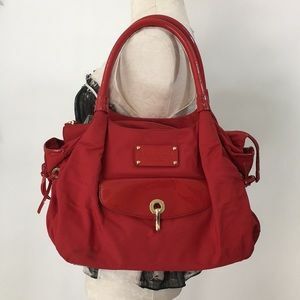 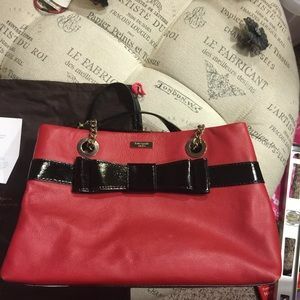 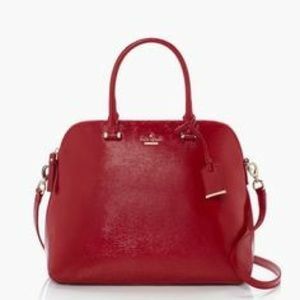 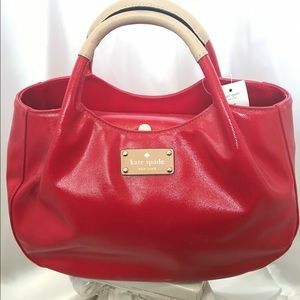 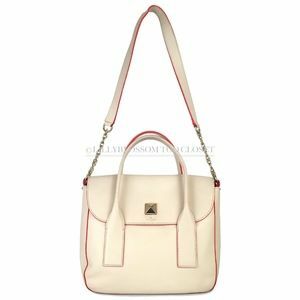 Red patent red leather Fulton Street hand bag. 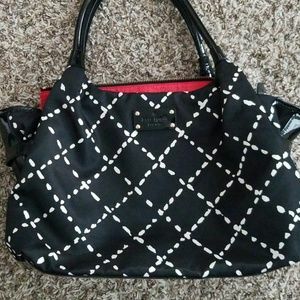 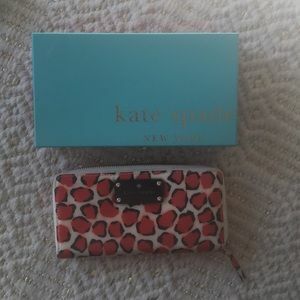 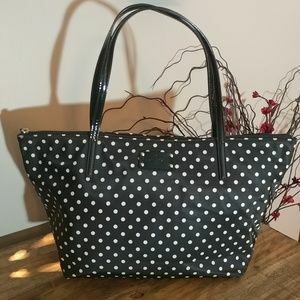 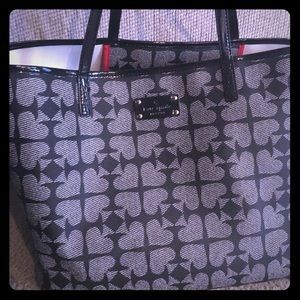 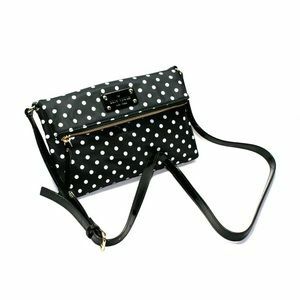 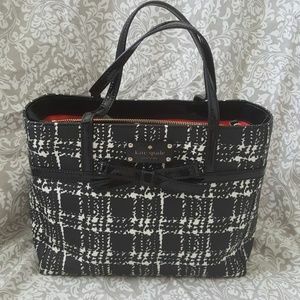 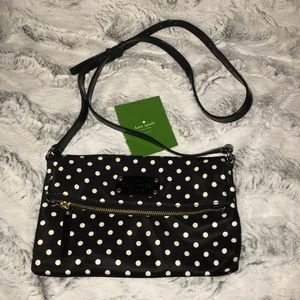 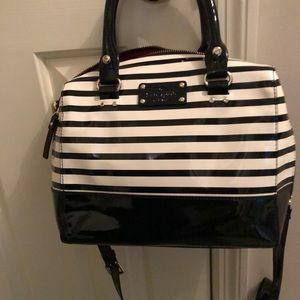 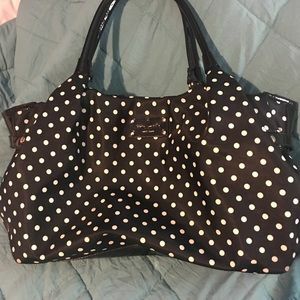 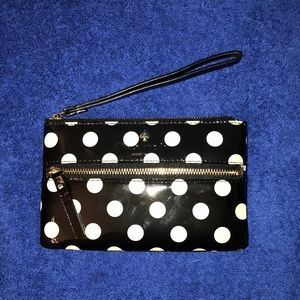 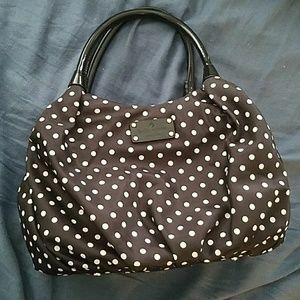 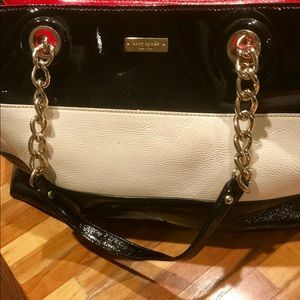 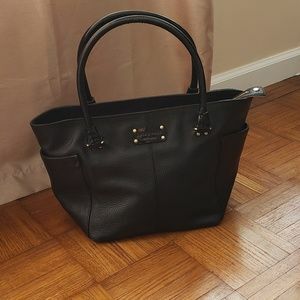 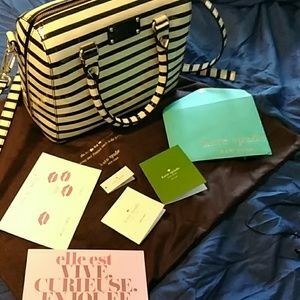 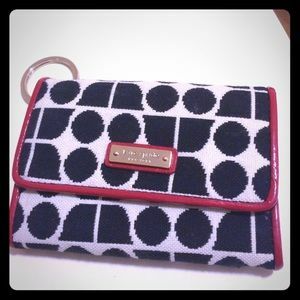 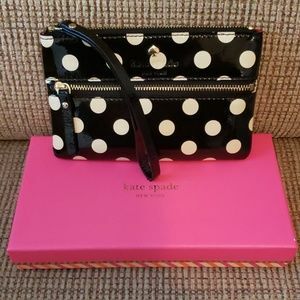 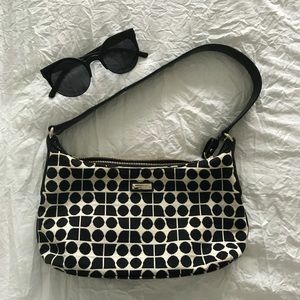 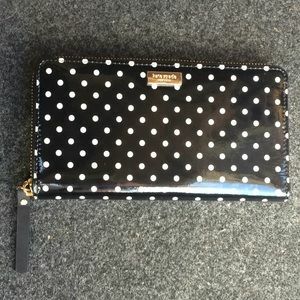 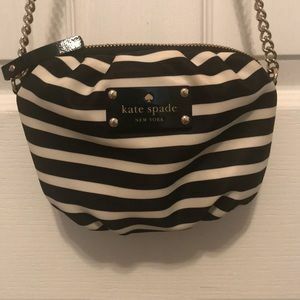 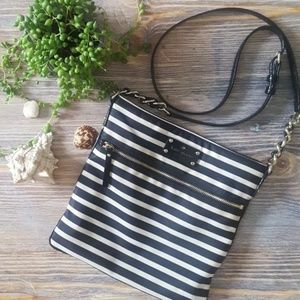 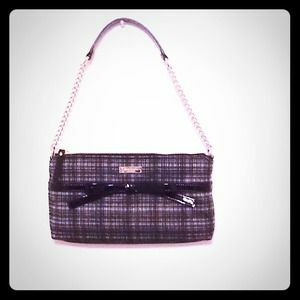 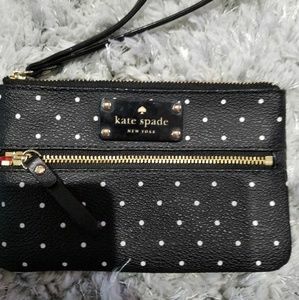 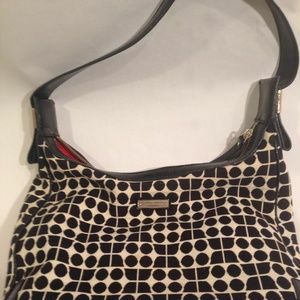 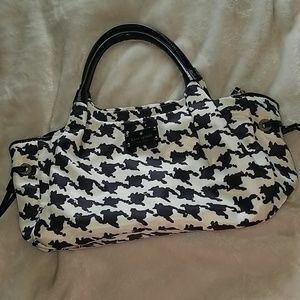 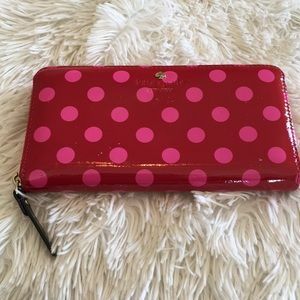 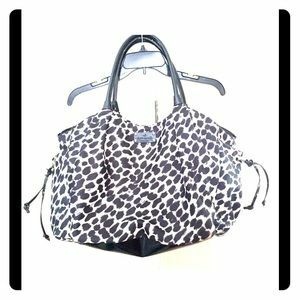 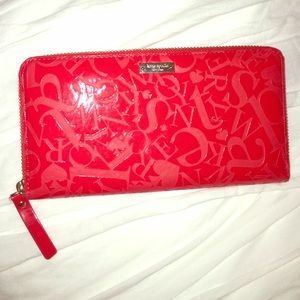 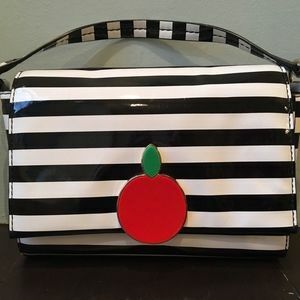 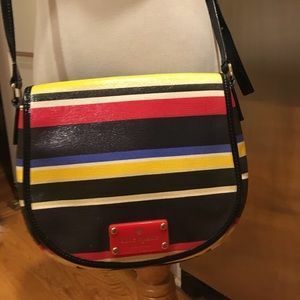 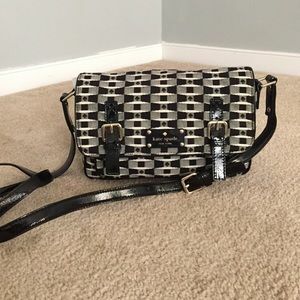 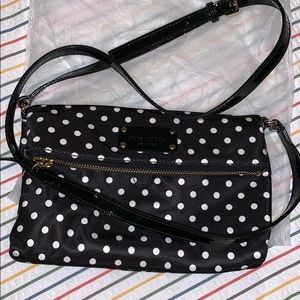 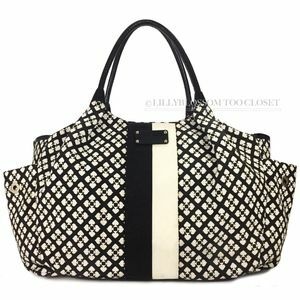 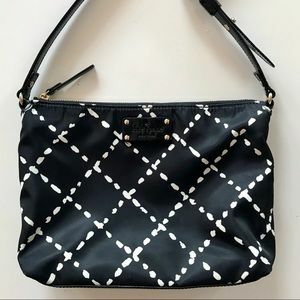 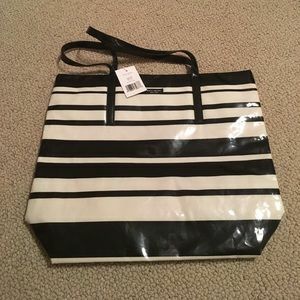 Kate Spade Classic Noel Black and White Wallet.